Marcus Mueller drills a ¾-inch hole in a birch tree April 15 in Soldotna. It's April — the snow is melting but not fast enough to be gardening outside anytime soon. But that doesn’t mean you can’t be harvesting. Greenhouses get you a jump on spring and hydroponics can be a vault toward productivity. 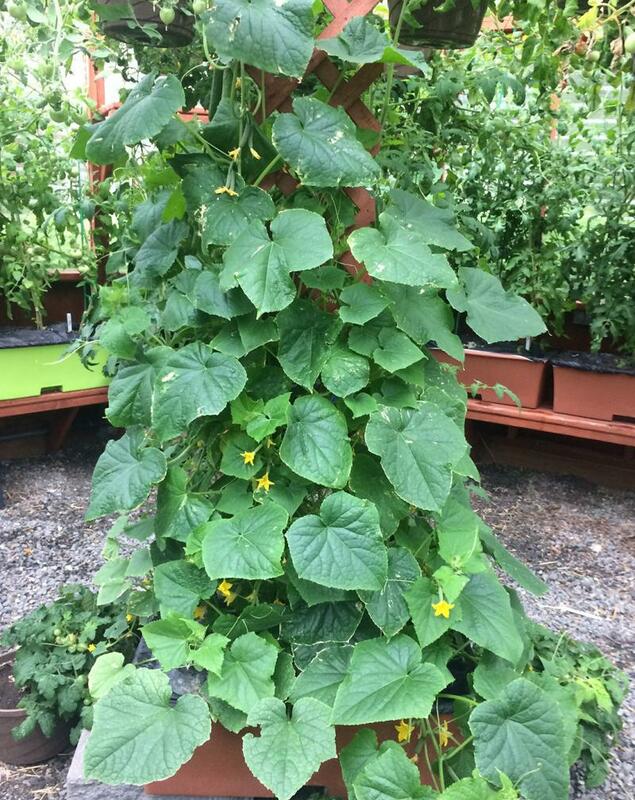 Tour Cheryl and Steve Beesun's hydroponic greenhouse in Soldotna, with cucumbers, lettuce and zucchini already ready to eat. Also this month, Farmer’s Markets won’t be open until June but market vendors are already hard at work planning for the season. 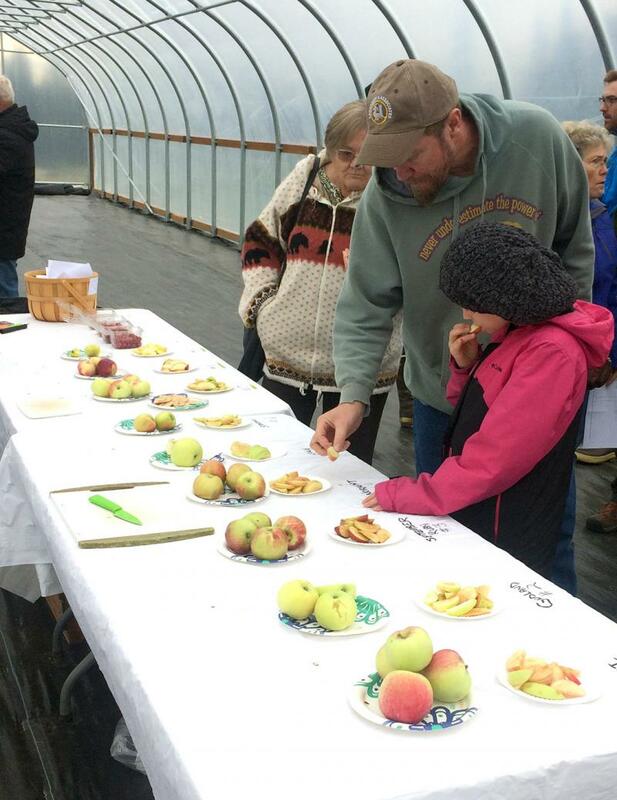 The Kenai Soil and Water Conservation District and Alaska Farmers Market Association put on a Farmers Market Meet-Up on April 13 at the Cook Inlet Aquaculture Association. And there’s a sweet treat hiding in the woods these days. Tap into it soon, before the opportunity dries up. 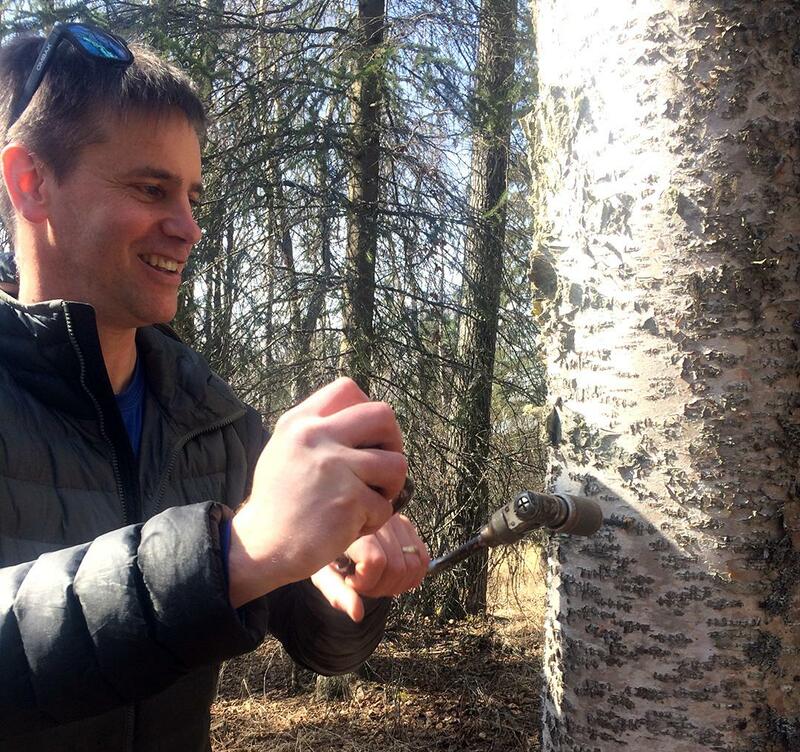 Thanks to Marcus Mueller for a demonstration on tapping birch sap. 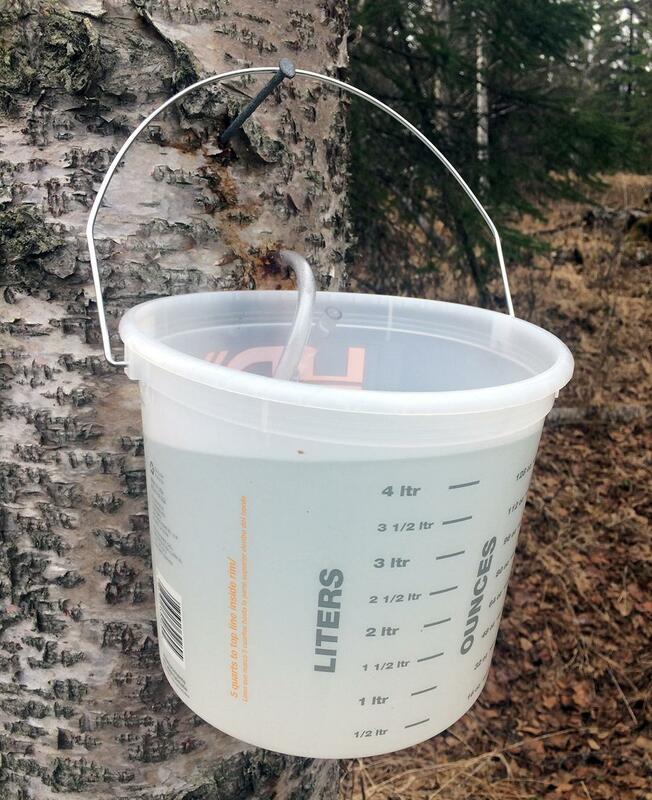 In about 24 hours, the birch tree nearly filled a gallon bucket. Spring is in the air, if not quite evident on the ground yet. We’re at least a month from digging in the dirt but if you’re planning to grow or raise your own food this year, now is the time to get started — and we’re here to help. 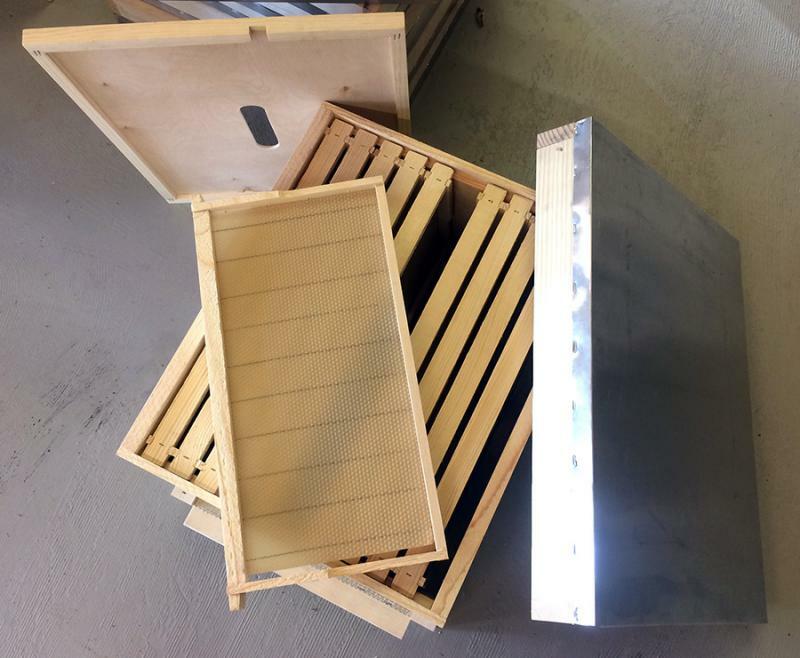 On this month's Kenai Garden Talk, we’ve got the buzz on beginner beekeeping, some tips for your chicks and a plea for pest patrol. And if you're fresh out of patience waiting for farmer's market season, there's now a mobile option on the Kenai Peninsula, bringing produce to a parking lot near you. Sink your teeth into one of fall’s tastiest treats, cozy up for fall with a different kind of fleece and take a walk on the wild side with local plants that can be used for medicinal purposes. It’s harvest time on the central Kenai Peninsula. But what to do with all that garden goodness? 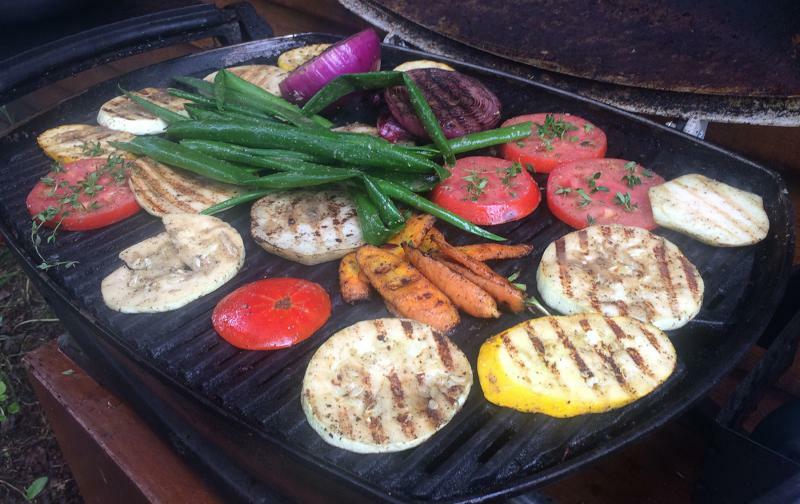 On today’s show, we’ll turn flowers into food, follow food from the high tunnel to the soup pot at the Kenai Peninsula Food Bank, and we’ll grill local chef Willow King for a quick-and-easy preparation for fresh, local produce. We've got tips on what to do with spruce tips, a food guide that makes harvesting local produce way easier than growing it yourself, greenhouse grow boxes that'll about raise the roof, and there are some farmers who are loving the cool, wet weather this year. Thanks to our guests, Jacki Michels, Marcia Kardatzke, Wayne and Patti Floyd of Cool Cache Farms and Heidi Chay with the Kenai Soil and Water Conservation District. Don't have your own garden but still want to eat fresh and local? Never fear — farmers markets and the Kenai Food Hub are here. While you're at it, get the dirt on how to maintain healthy dirt. 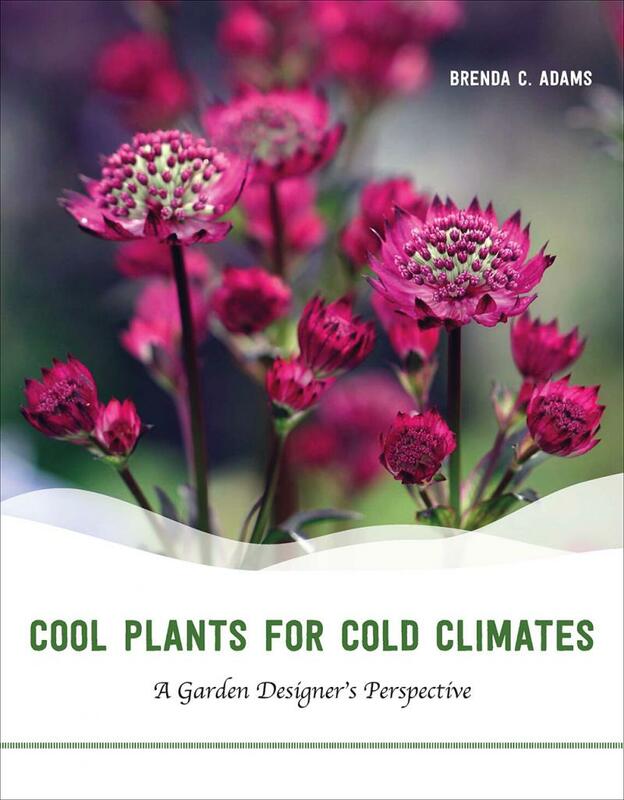 And Brenda Adams, author of “Cool Plants for Cold Climates,” offers advice to avoid the perils of impulse planting.